Sunday’s racing, including the Owners’ Cup, and all of next weekend’s cards have been cancelled following the ferry disaster. The Seoul Owners’ Association Trophy has been run for as long as there has been an Owners’ Association. That was 1993, the same year that the system of private ownership of racehorses was introduced. Since then it’s gone through many forms and has seen some of the most well-known names in Korean racing win. P’Ulgeurim, Subsidy, Dongbanui Gangja and last year, Jigeum I Sungan have all made their way into the winner’s circle in the past. Since 2012, the race has been restricted to Korean-bred runners aged 4 and up and is run over 7 furlongs and that’s what it will be this time around. Has won his last two starts over this distance including a class 1 last time out. He’s quick and likes to come from just off the pace which gives him a chance here. Well beaten by K Tap over the distance last time out and there’s little to suggest that form is going to be overturned. Won from the front over 1200M in January but should find the company a little quick here. 4th in last year’s Derby and a two-time class 1 winner, Brig drops down to one-turn for the first time since he was a 2-year-old. He’s never run at this distance but Brig likes to come from just off the pace and could be a big threat in the home straight. A chance. Comes into the race off the back of three wins – two of them in Stakes races but hasn’t run since January. One of those Stakes wins came at the expense of Joy Lucky who suffered interference. All things being equal though, Joy Lucky is faster than her. Another closer, it’s worth watching the board for any value. Has been out of step for a long time now. Hasn’t moneyed for two years and won’t do so here. Served his time and should be retired. To his credit, in his 41 starts, he’s never finished last. Four indifferent performances since returning from a long lay-off make it very difficult to recommend him here. The old Reigns Cat would have had a chance but not this one. 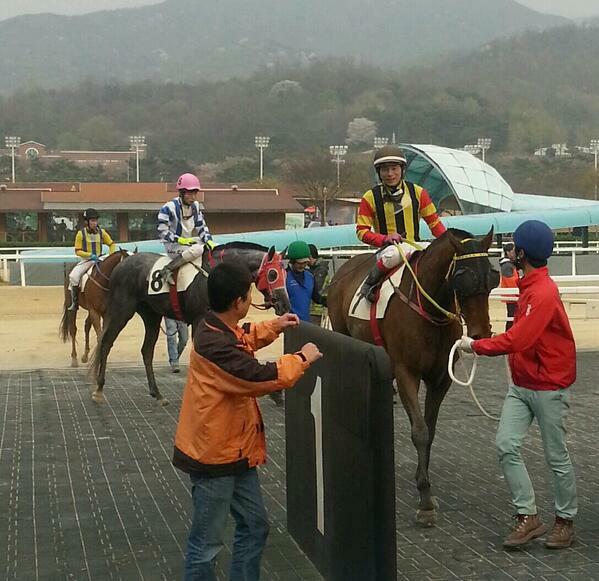 Comes into the race off of a hugely disappointing run in the Ttukseom Cup. She is the fastest horse in the race and if she runs at her best, she wins. In three of her last races, however, she hasn’t. Still difficult to oppose. A shock second in this race to Jigeum I Sungan last year at odds of 200/1. He’ll be something similar here and for good reason. 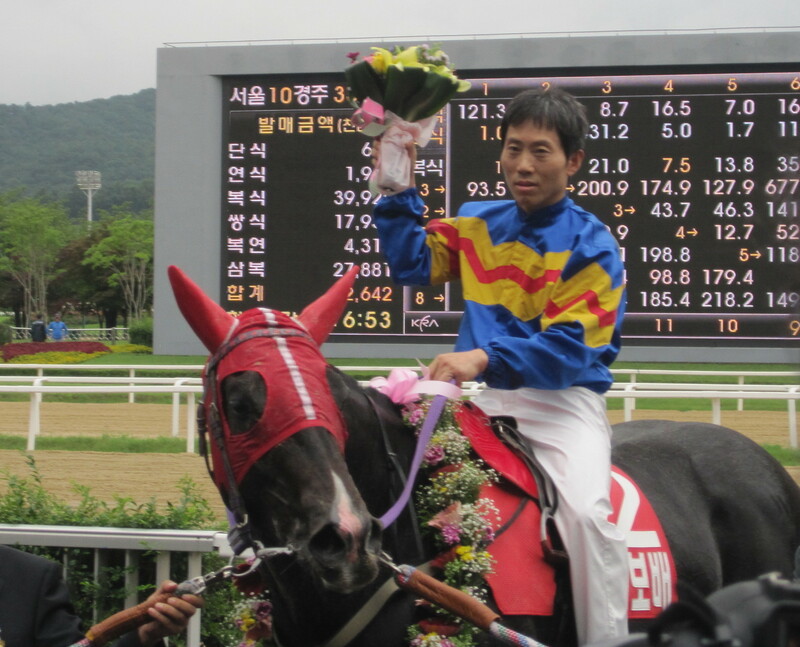 Although he has graduated up the levels through virtue of prize-money, Seoul Jeongsang has never won a race at a higher level than class 3. He’ll not win this one either and though he was a decent sprinter, is unlikely to have the pace to figure in the finish. A double-Stakes winner last year and narrowly beaten by Joy Lucky over further in December. Hasn’t run since January but will be among the favourites and is very capable of beating Joy Lucky. Beat a small field to win a class 1 with a very swift turn of foot last time out. Likely to be close to front and could make a nuisance of himself in the closing stages. The feature race of the weekend is the Seoul Owners’ Association Trophy which takes place in the capital on Sunday afternoon. There will be a full runner-by-runner preview on this site tomorrow evening. 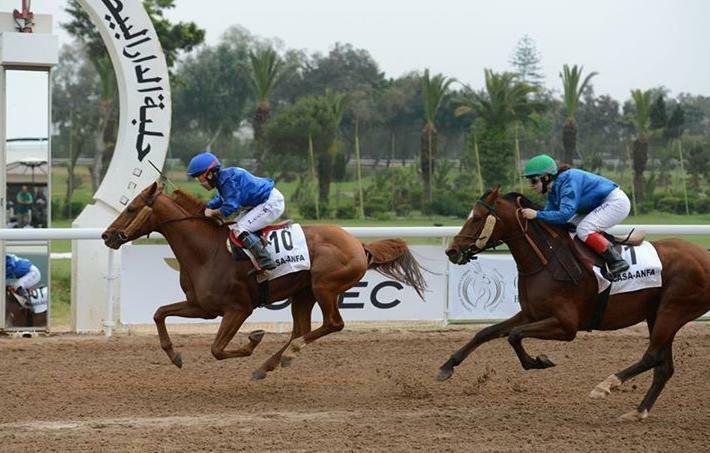 Lee Keum Joo last week won the latest round of the HH Sheikha Fatima bint Mubarak Ladies World Championship (IFAHR) 2014 at Hippodrome De Casablanca-Anfa in Morocco last Friday. Riding the locally-bred and reasonably well-fancied Kanzaman, Lee finished almost a length ahead of German rider Tamara Hofer on favourite Saqr II. Aside from professionals Lee and Hofer the majority of other riders were either local apprentices or visiting amateurs and included former British Champion Lady Amateur Serena Brotherton. 37-year-old Lee, who will no doubt appreciate the event website’s description of her as a “brilliant young rider”, debuted at Seoul in 2001 when she became only the 2nd woman to gain a jockey license in Korea. She has had a stop-start career but returned to reasonably regular race-riding this year and is currently attached to the stable of trainer Lee Shin Young – who she qualified as a jockey with before the latter Lee went on to become Korea’s first female trainer. Lee Keum Joo now has 26 career wins. The “World Championship” continues in Toulouse in France this week and has further global stops including Newbury in England before concluding in Abu Dhabi in November. Mixed news from the overseas Korean racing diaspora over the past couple of weeks. There was an all-Korean connections winner in Macau but Minister’s Cup winner Major King was a major disappointment on his American racing debut. Seoul Racecourse based trainer Seo Beom Seok – better known as Kenny Seo – has been running a parallel stable in Macau for a year now, primarily training for Korean owners. 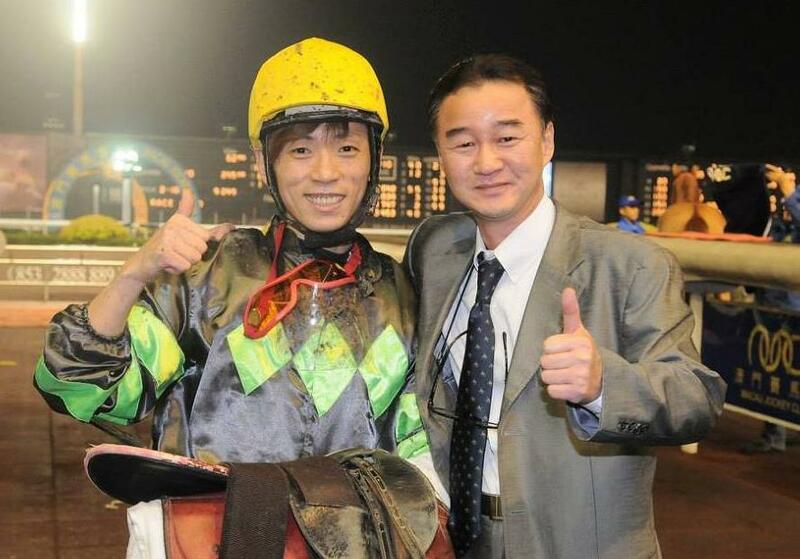 Busan’s champion jockey Jo Sung Gon has been based in Macau since January. On April 4, the Park Nam Sung owned, Kenny Seo trained and Jo Sung Gon ridden Liver Pool (All Bar One) took victory in the 1100 metre race 2 at Taipa. For trainer and jockey it was their 4th and 2nd winners respectively in the Special Administrative Region. 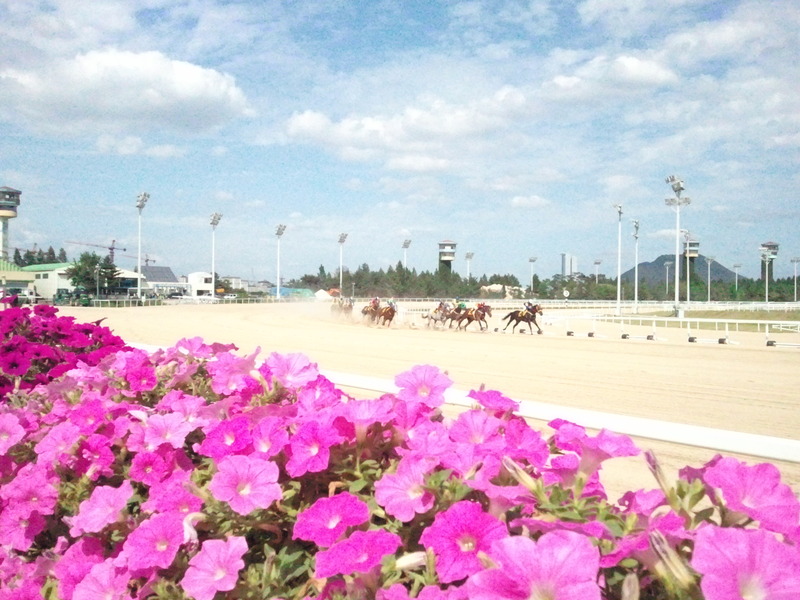 Taipa will host the Korea Racing Authority Trophy on May 2. The KRA Chairman will be among those making the trip from Seoul. Seo’s attempt to make a go of things in Asia is at odds with the KRA’s seemingly never-ending fascination with the USA, a jurisdiction which despite the source of a large quantity of racehorses and breeding stock, has little in common with Korea and by their own admission, isn’t a model that authorities here are aiming to emulate. The sending of 2-year-olds to Florida for early training has great merit and the latest batch of them will be returning to Korea next month much better for the experience. However, the habit of sending of mature Korean-bred horses to run in claiming races in the North-East is far more questionable. 2013 classic winners Speedy First and Major King headed Stateside in January and Major King (Pico Central) – who hadn’t exactly been pulling up trees in his most recent Korean outings was the first to make his debut. Korean racing fans are strongly advised to look away now. It was hoped that the Pick Me Up and Baekpa debacles of 2008 and 2009 had been learned from but it seems we are doomed to keep repeating the same old mistakes – Horses that are bred and only trained in Korea are going to struggle when expected to race alongside animals that have been raised entirely differently. More interaction with Asia-Pacific – of which the exchange races with Japan last year were a perfect example – is what’s needed now, not sending our Classic winners to plod around Pimlico. Indian Blue lived up to her reputation as one of Seoul’s top horses over any distance as she walked off with the Sports Donga Cup this afternoon. Remarkably, the 4-year-old Indian Blue (Henny Hughes) had won only 4 of her 15 starts coming into today’s race. However, a 3rd and a 2nd in consecutive Ttukseom Cups, a 2nd in the KRA Cup Classic and a 4th in the Grand Prix Stakes meant the raw statistics didn’t really tell the full story. Add in a sprint victory over Watts Village, Korea’s “Hero of Ohi” and it was no surprise that punters sent her off the short-priced favourite in a field of 14 for the Sports Donga. She didn’t disappoint. Under Ikuyasu Kurakane, Indian Blue was inevitably the fastest of a group of closers who took charge in the home straight. Hitting the front with a furlong to run – early by her standards, Indian Blue was pushed all the way by Wonder Bolt but never looked in serious danger. In third place there was a welcome return to form for 2012 KRA Cup Classic winner Sing Sing Cat but the highly though of pair of Double Shining and Kentucky Galloper disappointed. Going forward, there are plenty of options for Indian Blue. The remaining legs of the Queens’ Tour will be attractive but so will a the Busan Metropolitan in July. Further on, a second tilt at the Korea vs Japan Goodwill race in August – with its prospect of an international rating and subsequent trip to Dubai – should be on the agenda. Down at Busan, the JRA Kokura Racecourse Trophy was the main event. And while at Seoul it was one of the up-and-comers taking the plaudits, this race went to one of the elder statesmen of the sand as 8-year-old Full Forest (Full Mandate) took victory by a length. Debuting in 2008, Full Forest was making his 58th start and recorded his first win since Janaury 2012 – and only his 7th in all. Over the years he’s had many jockeys – including the tragic pair of Park Jin Hee and Yoshi Aoki – but today it was the turn of Kim Yong Geun, who made the race his 4th win of the afternoon. A fine ride it was too as he guided Full Forest into contention as they entered the home straight before passing long-time leader Star Bolt inside the final furlong to win going away. Next weekend, Stakes action returns to Seoul in the form of the Seoul Owners’ Association Trophy. Last week saw the KRA Cup Mile and next week is the Seoul Owners’ Cup. No Stakes this weekend – not for the thoroughbreds anyway – but still plenty to keep us occupied. Seoul’s weekend feature is the Sports Donga Trophy on Sunday afternoon. KRA Cup Classic and Ttukseom Cup runner-up Indian Blue heads a competitive looking class 1 field over 2000 metres. Fellow 4-year-olds Double Shining and Kentucky Galloper will also be there. Busan hosts class 1 fields on both Friday and Sunday. Old favourite Ghost Whisper goes in Friday’s contest which also features up-and-comer Smile Again making his debut at this level. Meanwhile on Sunday, Lion Santa and Viva Ace – both winless for a long time – renew hostilities. They’ll be hard pressed to break their streaks here. The one Stakes of the weekend is on Jeju Island on Saturday, where the ponies will be running for the cutely titled “Blossom Stakes”. 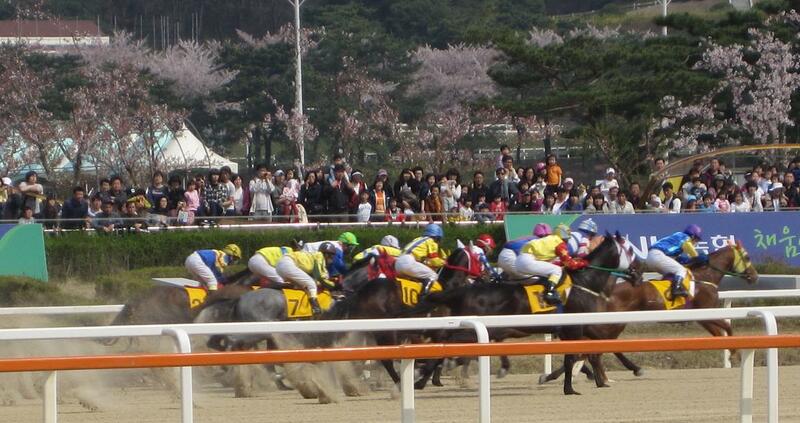 Speaking of blossoms, it’s the final weekend of the Cherry Blossom festival at Seoul Racecourse.